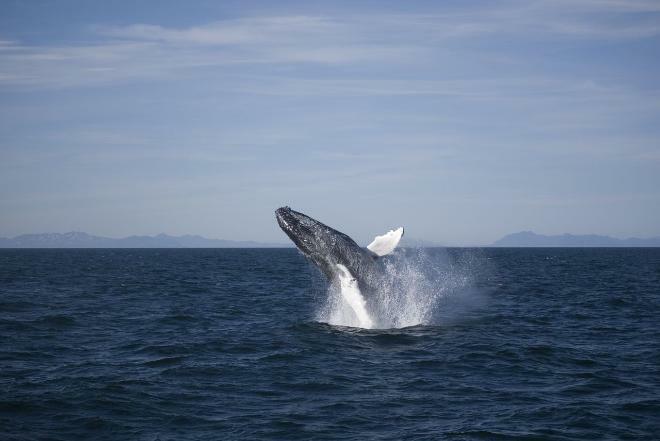 Join us and our wonderful team on a 8 day tour to the 7 Wonders of South Iceland. 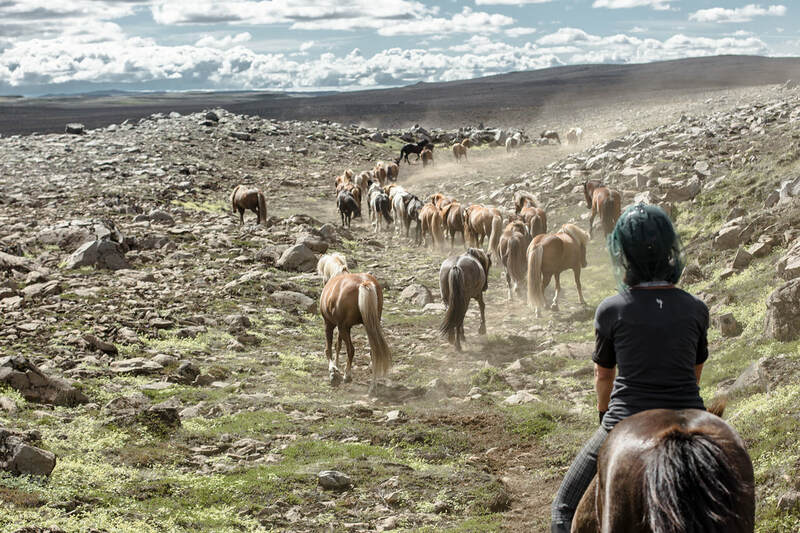 We travel in the traditional style with a large herd of free running horses and stay overnight both in hotel accommodation and in rustic mountain huts. Let us show you the Golden Waterfull Gullfoss, the magnificent Laxárgljúfur Canyon and the hot springs of the Geysir Area. 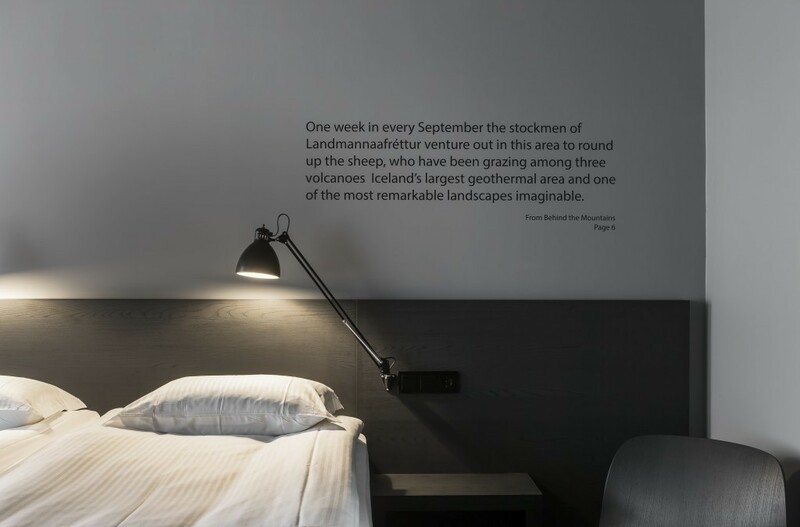 Enjoy views of the terrific Kerlingarfjöll mountain range and follow the footsteps of the ancient Icelanders at Þingvellir Parliament place and relax in the geothermal natural bath of the Secret Lagoon. 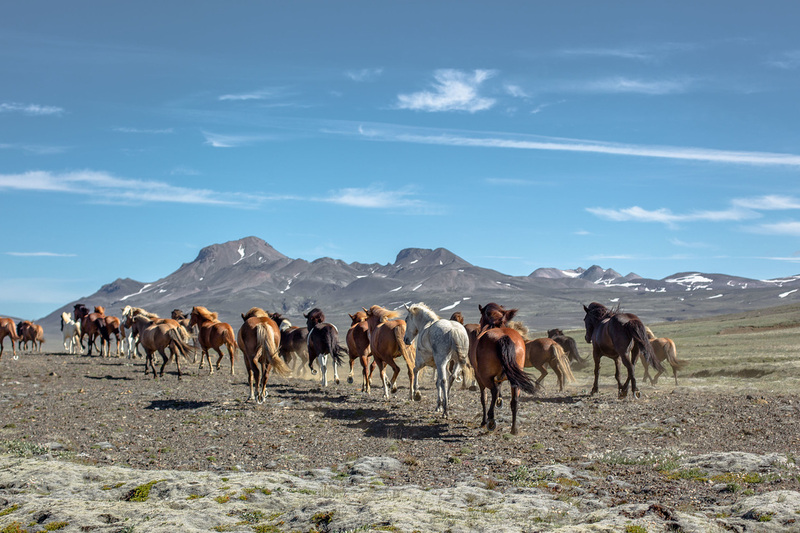 Let´s not forget to mention the remaining wonders: The incredible Icelandic Horse, the wild and untamed highland and last but not least our warm- hearted, funny and hospitable hosts Arna and Steini! ​This young couple together with their family breed and train their own horses and have approximately 100 Icelandic horses at their farm during summer time. They and their friendly international staff will do their outmost to make this riding tour the holiday of your life. This tour is only recommended for experience riders that are capable and happy to ride for 6-7 hours/20 - 40 km a day. You should feel comfortable riding in all gaits over rough terrain and be willing to follow the speed of the free running herd. 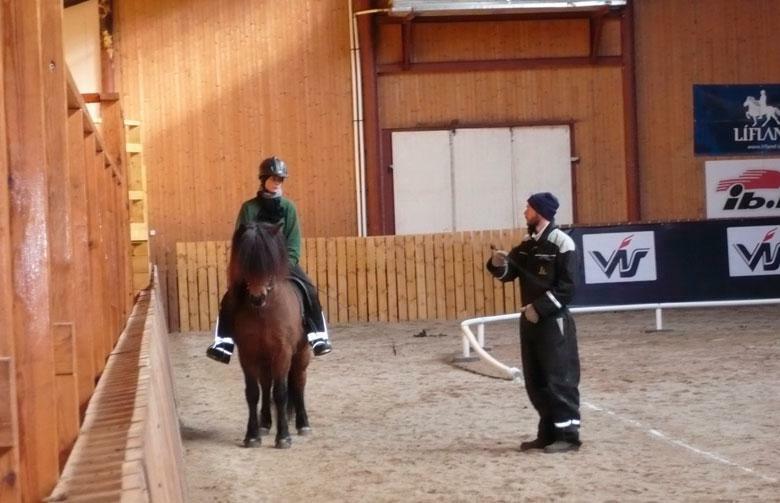 We can easily promise you that travelling on horseback will never be the same after you have tried the soft and speedy tölt of Arna and Steini´s horses! Accommodation: 2 nights in rooms with private facilities and common jacuzzi, 5 nights in sleeping bag accommodation in mountain huts. Full board during the ride. Accommodation in Reykjavik not included but can be arranged. Included: Geothermal Natural bath Secret Lagoon. Day 1: Arrival – Transfer to Guesthouse Álftröð. Meet & Greet with your guide at 6 pm at BSÍ bus terminal in Reykjavík. If preferred we can arrange a pick up at your accommodation in the capital area between 5 and 6 pm. When arriving in Iceland on the same day, please make sure that your estimated arrival time at Keflavík International Airport is no later than 4.30 pm! An airport bus www.flybus.is offers a convenient shuttle directly from Keflavík Airport to the BSÍ bus terminal. The city center with cafés, shops and museums is within easy walking distance from the BSÍ. Luggage can be safely stored for a small fee at the BSÍ bus terminal. 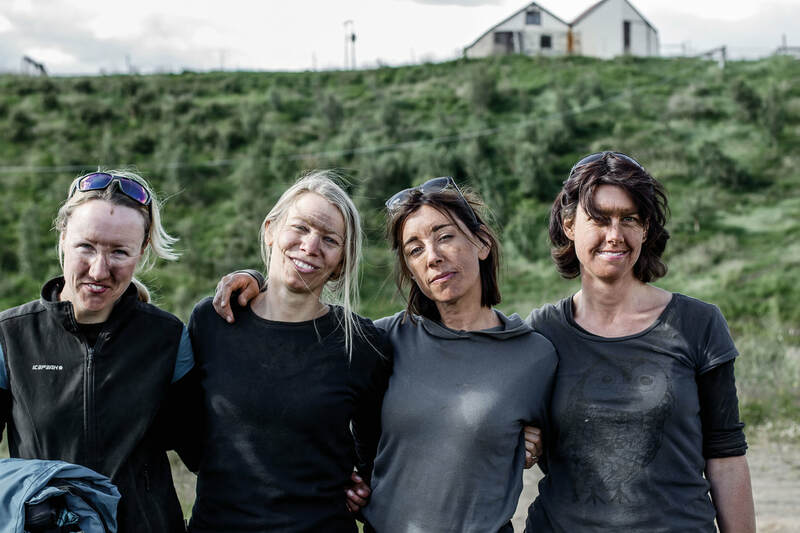 Transfer to Guesthouse Álftröð in South Iceland for a hearty welcome dinner and introduction to the riding trip. Enjoy the open air hot tub at the Guesthouse. Accommodation : Country Hotel Álftröð, made up beds in double rooms with private facilities. Hot tub (jacuzzi) on site. After a plentiful breakfast we head to the stables to meet up with the horses. Our guide gives us a good introduction to all the safety measures regarding the ride. After a light lunch at the farm we leave the farm grounds on our first mounts and start our riding adventure. The first day takes us through the lovely green fields of Hrunamannahreppur community. This area is known for its idyllic rolling hills and small family farms scattered in beautiful surroundings. We enjoy splendid views of the Langjökull glacier in the background while we try out the tölt on good and easy riding tracks. 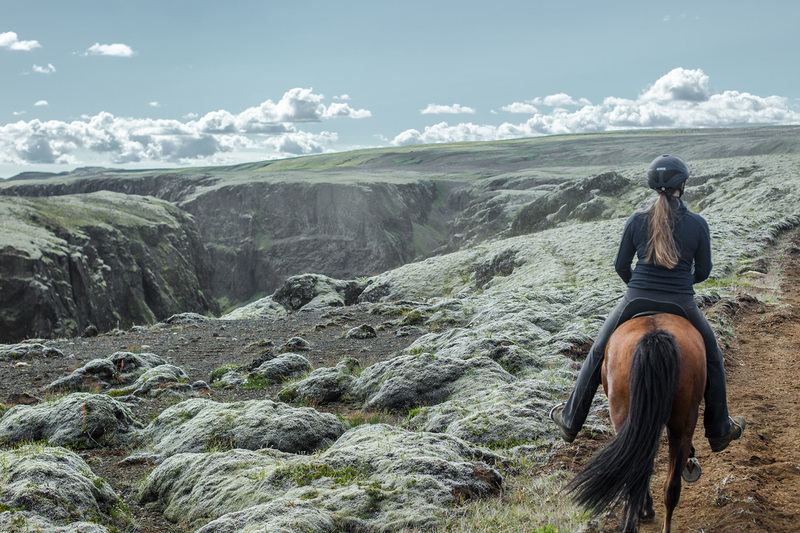 We ride all the way to the romantic Tungufellsdalur Valley where we leave our horse and head for a relaxing bath in the Secret Lagoon in Flúðir. Dinner and overnight at Myrkholt Guesthouse. Riding distance: ca. 35 km. Accommodation : Myrkholt Guesthouse, sleepingbag accommodation in 2-4 bed rooms with shared facilities. After a good breakfast we fix our lunch from the breakfast buffet and head by bus towards the horses. Today we leave the farming countryside and head up to the highland area of Hrunamannahreppur. Now we leave civilization behind and ride only through uninhabited areas for the next days. Only sheep and Polar foxes will greet us during the day. Dinner and overnight stay at Mountain Hut Helgaskáli. After dinner we will give you a good insight into the rich literature of Iceland´s past like the famous Icelandic Sagas – we might even put up a little play.... Riding distance: ca. 22 km. Accommodation; Helgaskáli. Simple and basic hut used by the farmers when they gather the sheep in autumn. Inside toilets. Fireplace. 3 rooms with a total of 24 bunkbeds. 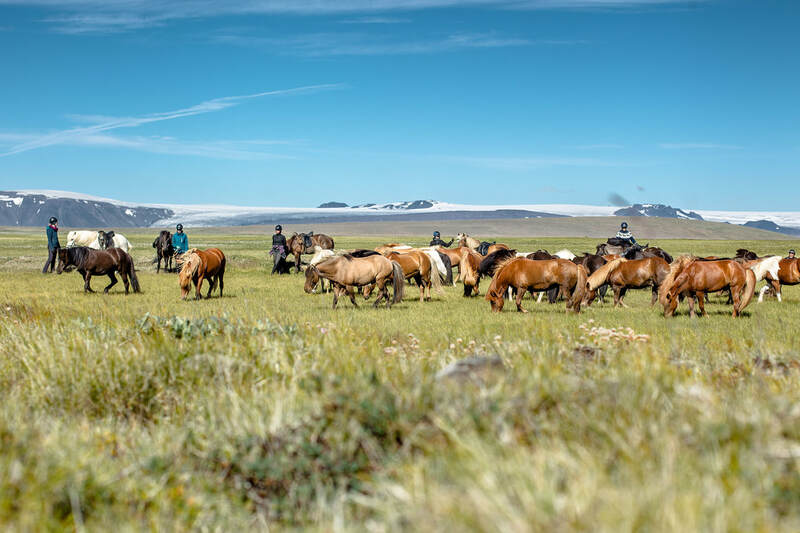 Today is going to be a long riding day when we ride under neath Geldingafjall and over the plains of Mikluöldubotnar to our next mountain hut accommodation. During the ride we will enjoy terrific views of the high mountain range Kerlingarfjöll. At Leppistungur Mountain hut we will stay for two nights. This area is pure uninhabited wilderness. In August large flocks of wild geese choose this area to prepare for the autumn departure to warmer climates. A wonderful sight to behold! After a good meal we will check up on your singing abilities and teach you some of our favorite Icelandic riding songs. We might have some other things upp our sleeves to start a good party as well.... Riding distance: ca. 35 km. 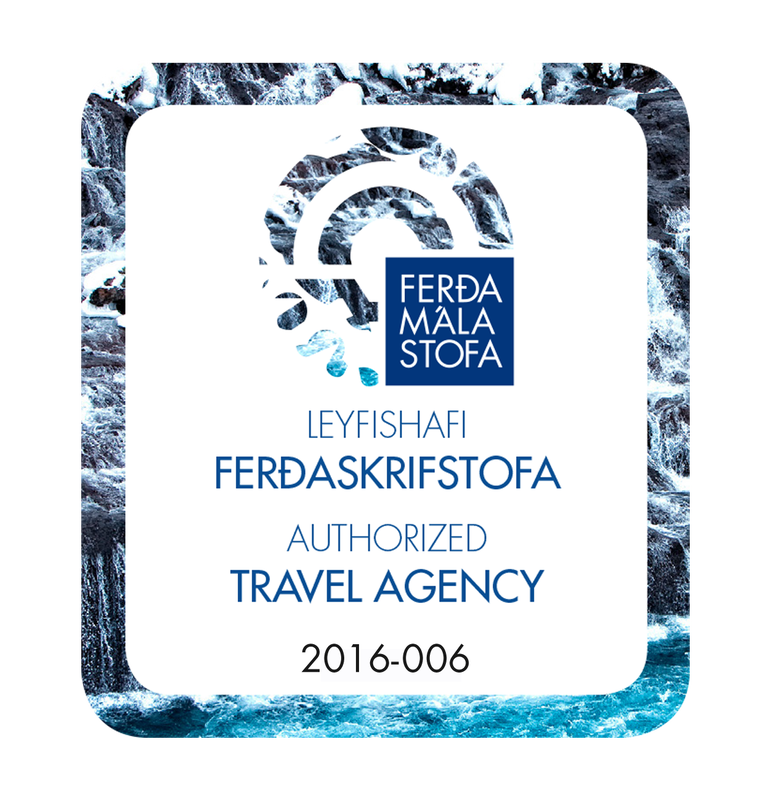 Accommodation : Leppistungur (two nights). Simple and basic hut used by the farmers when they gather the sheep in autumn. Inside toilets.Bunk beds for up to 24 people. We will have superb views of the high mountain range of Kerlingarfjöll, an area known for its colourful rhyolite mountains and geothermal activity. Tonight after dinner we will give you some interesting facts about Iceland´s fascinating geology. Riding distance: ca. 20 km. Today is going to be an easy riding day when we ride from our mountain home Leppistungur to our last mountain hut accommodation at Svínarnes river. During the ride we enjoy views of the huge Bláfell mountain (1204m), a distinctive, flat-topped, steep-sided volcano formed when lava erupts through a thick glacier or ice sheet. These types of volcanoes are somewhat rare worldwide, being confined to regions which were covered by glaciers and had active volcanism during the same period. Tonight after dinner we will tell you the tale of Bergþór, the giant, who used to live in Bláfell mountain. Riding distance: ca. 25 km. Accommodation: Svínárnes. Simple and basic hut used by the farmers when they gather the sheep in autumn. Water flushing toilets outside in separate building. Fireplace. 4x2 bunkbeds downstairs and sleeping attic for 15 people upstairs. Today is going to be our last day of riding and it is going to be a long day in the saddle as well! Today´s ride will take us along the magnificent canyon Laxárgljúfur. 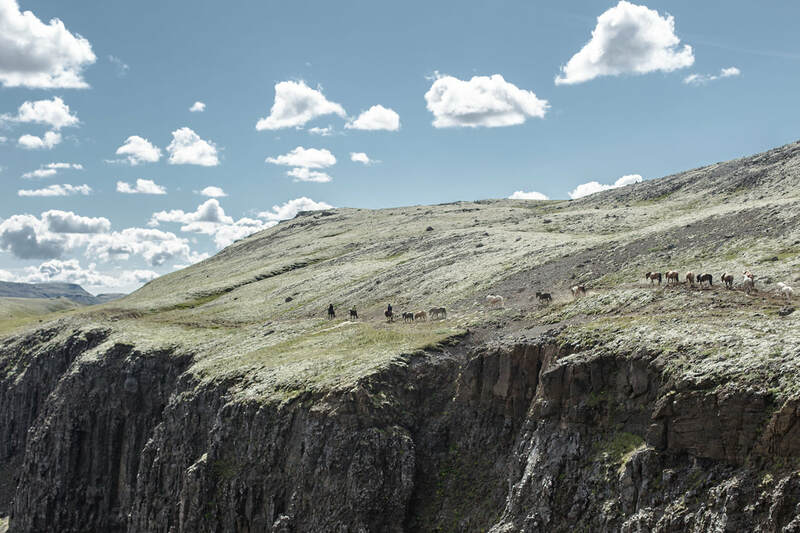 We ride along the river Laxá, the „Salmon river“ and enjoy amazing views over the almost 200 m deep canyon. 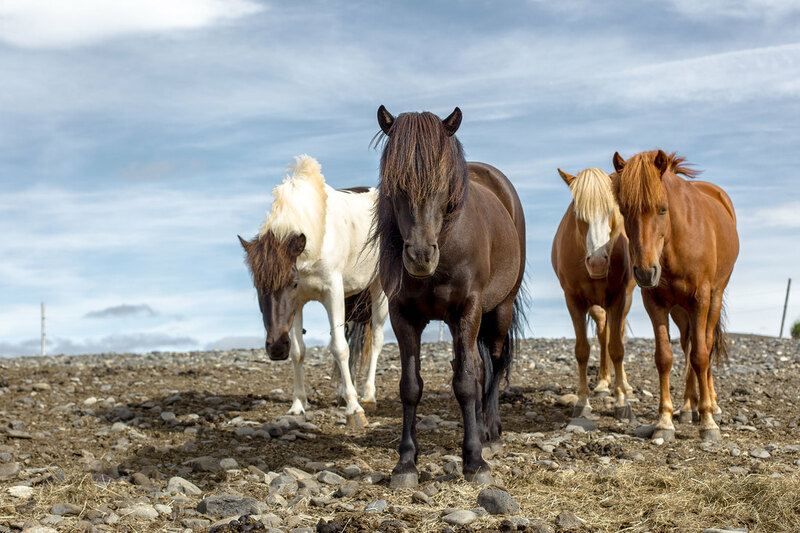 We stop and rest the horses at the abandoned farm of Hrunakrókur, while our guide tells you about the harsh and remote life of the ancient Icelanders that used to live here. The farm was abandoned many times due to volcanic eruptions but the people tried to come back again and again until the farm was finally given up in 1902. 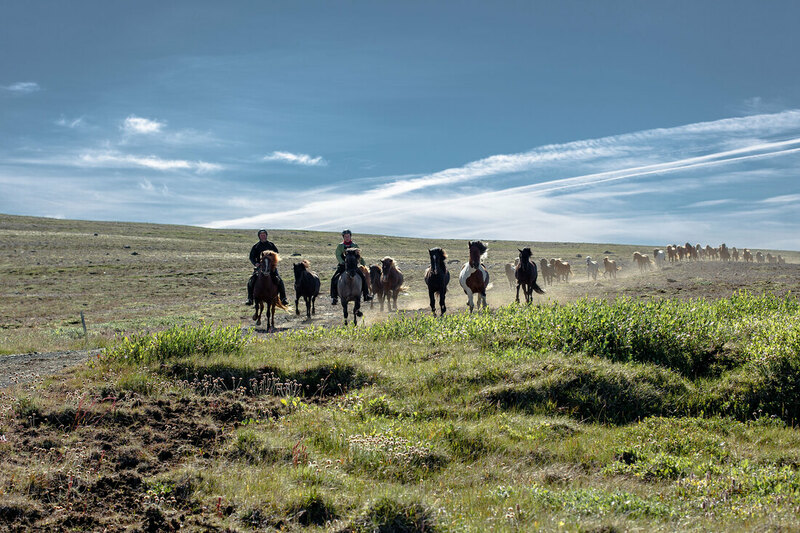 We understand perfectly well why people tried to come back again and again...you will not find many more romantic settings for your home... We say goodbye to our lovely horses at Kaldbakur farm and drive back to a wonderful dinner and hot showers at Country Hotel Álftröð. Riding distance: ca. 40 km. After a superb last breakfast we have to say goodbye to our wonderful Icelandic companions and drive off to a grand Sightseeing Tour by bus to the Golden Waterfall Gullfoss, the magical geothermal Haukadalur area with its hots springs and erupting geysirs. There is the possibilty of an optional tour with the riverjet on the glacial river Hvítá. We continue our sightseeing tour to Þingvellir, situated right on top of the Midatlantic Ridge. This place is heaven for everybody who is interested in Geology and History. We can clearly see the landdrop caused by the plates drifting apart. At Þingvellir, the ancient parliament, was founded and our guide will take you to major points of interest and tell you about the amazing judical system of the past. 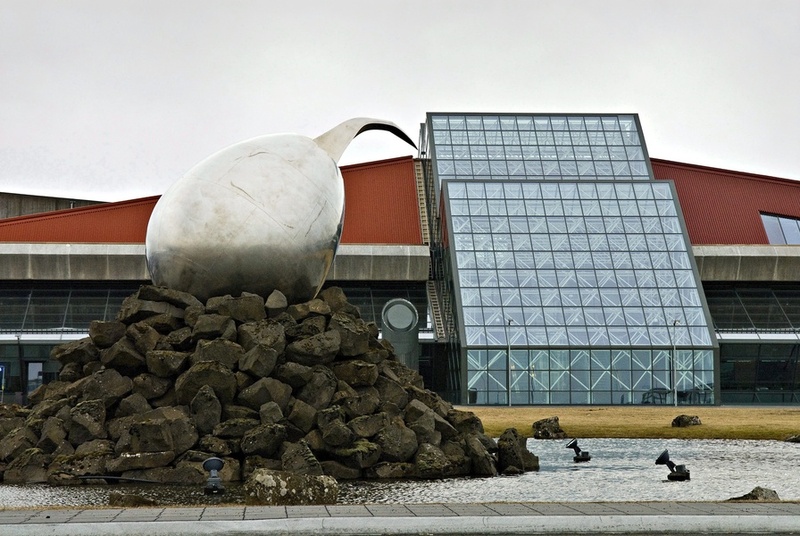 Return to Reykjavík at approximately 6 pm and drop off at BSÍ or accommodation. Transfer from Reykjavík on first day and transfer to Reykjavík on 8th day. 2 nights in double rooms with private facilities and hot tub. Full pension during the tour starting with dinner on the first day and ending with lunch on the 8th day. 1x visit to Secret Lagoon incl. towel on the 2nd day.